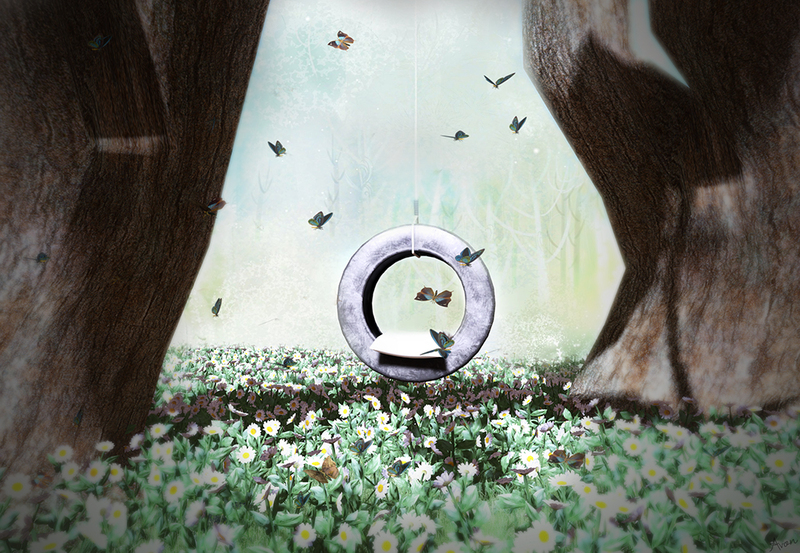 Designed to amuse the “little child” inside us, this tire swing creates a playful atmosphere, full of color, perfect for outdoors environments. 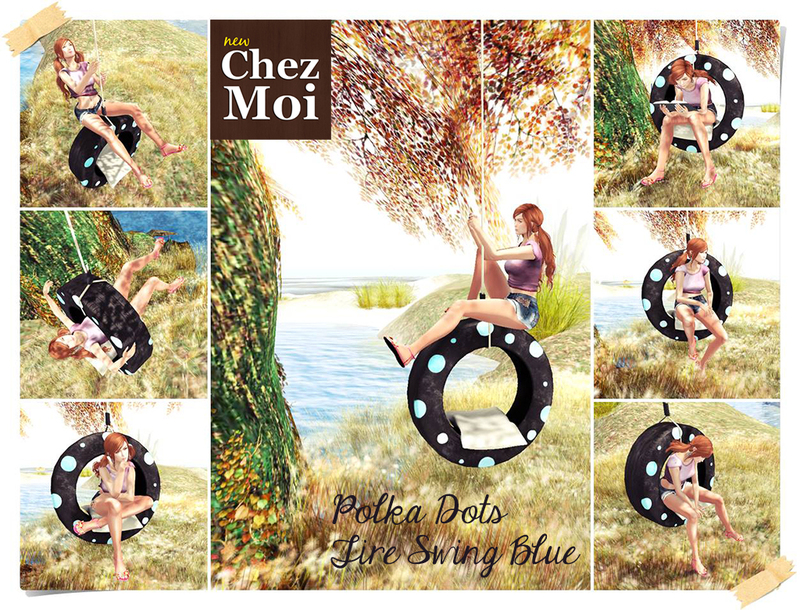 Vertical: The Polka Dots Tire Swing has 14 individual animations and place for a person. 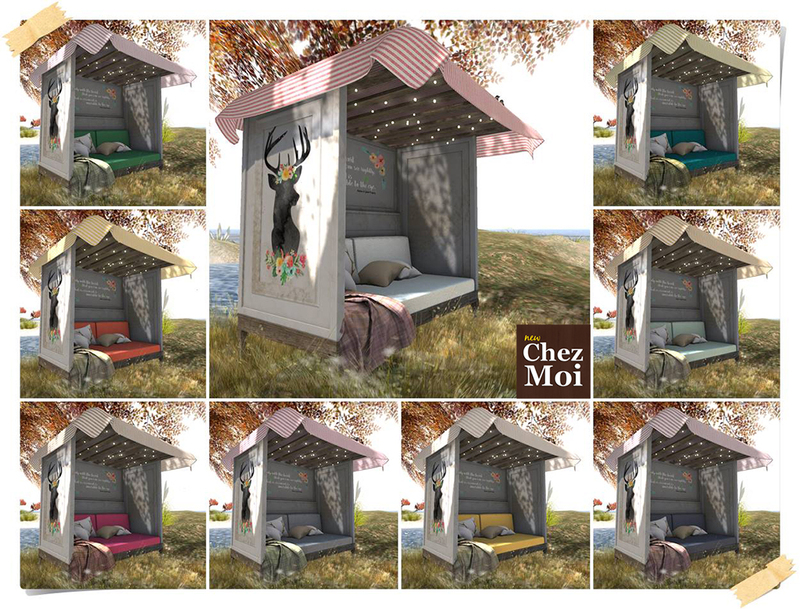 For more information: CHEZ MOI MARKETPLACE, or for a closer look, visit our INWORLD STORE. Perfect for Diners or a thematic house 50s’, this leather sofa will surprise your guests. 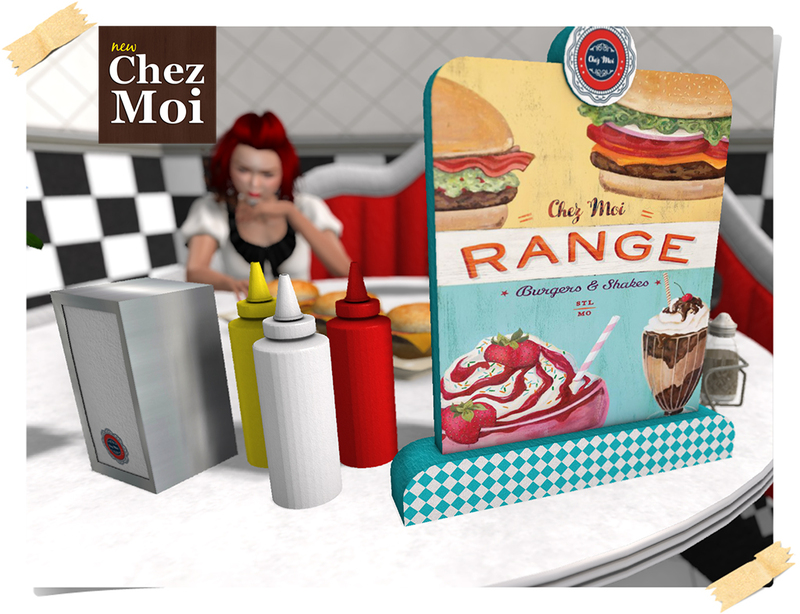 ♥ 5 dining options animations with the following dishes: Rib, Chicken, Hamburger, Pizza and Dessert. The set as seen in the picture has 18 LI. 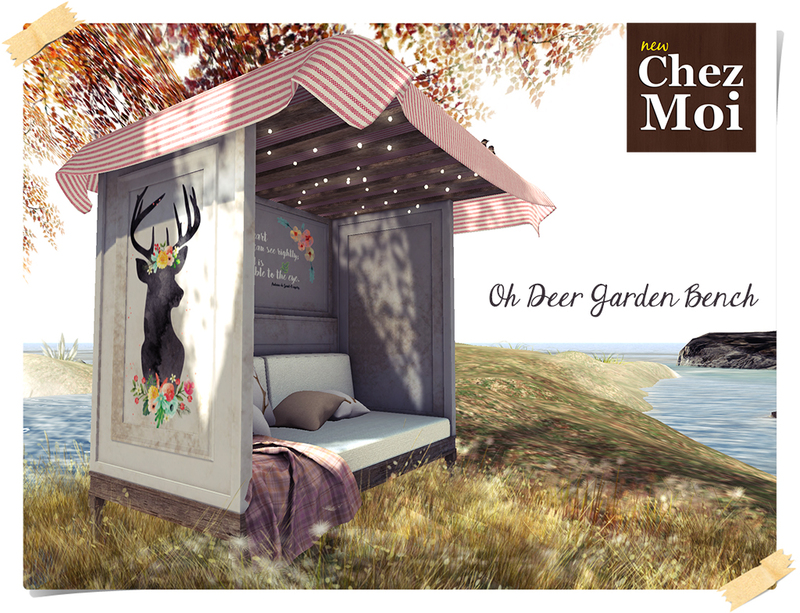 This release is available at CHEZ MOI MARKETPLACE, or for a closer look, visit our INWORLD MAINSTORE. 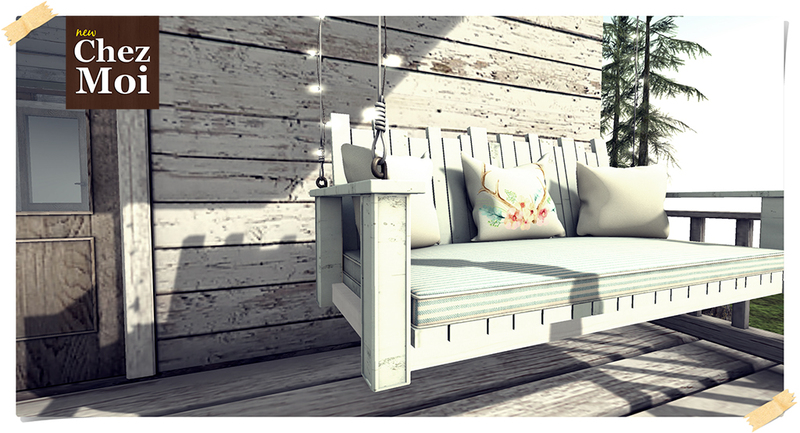 Nothing cozier than sitting on your porch and enjoy a delightful outdoor moments together with that special person. 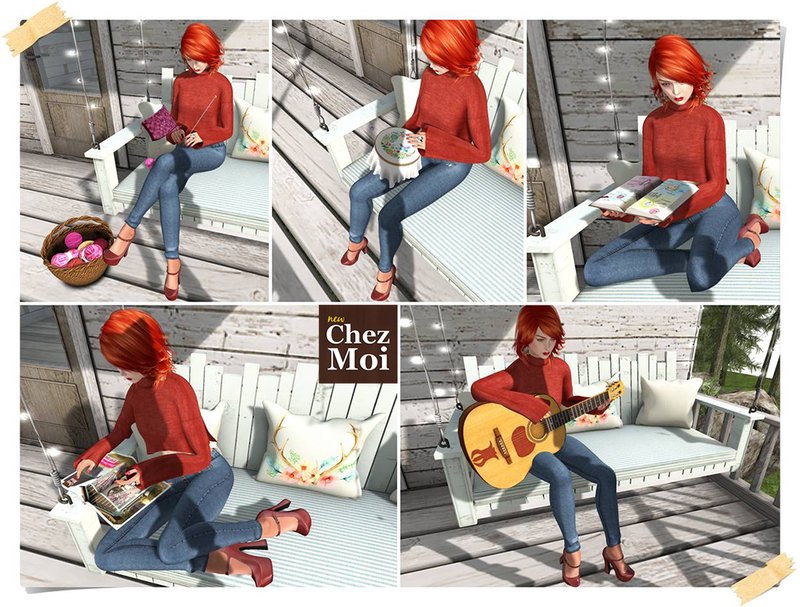 ♥ Several accessories “wearable” as a glass of wine, books, guitar, etc. 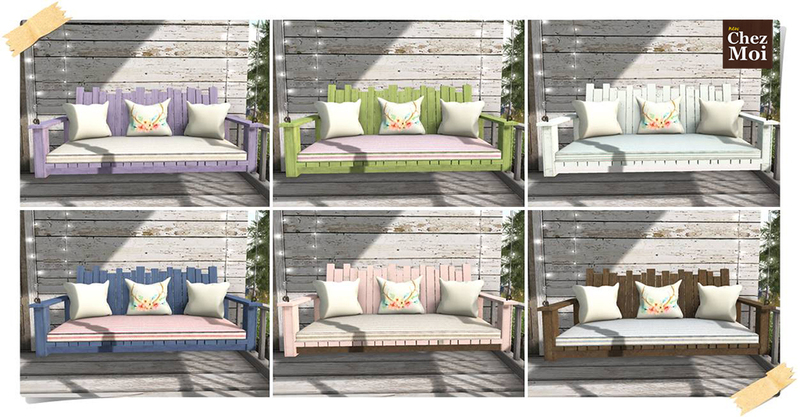 You can also choose from 9 color combinations – just click on the wood or cushion to access the menu. 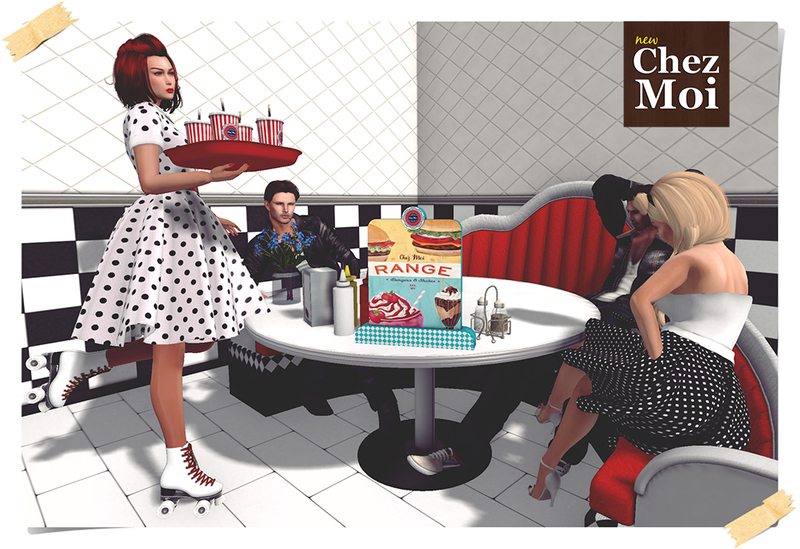 Available at CHEZ MOI MARKETPLACE or, for a closer look, visit our INWORLD MAINSTORE. 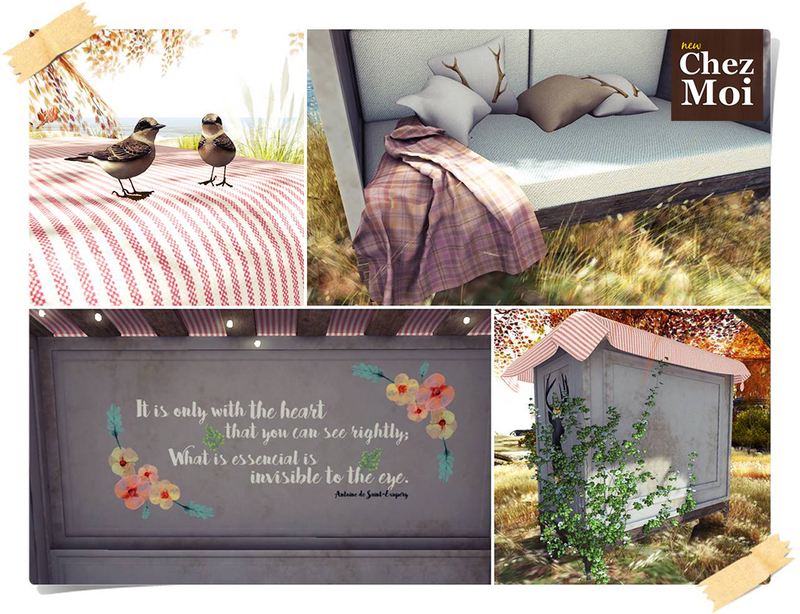 This Garden Bench made with light textures and watercolor painting is perfect for creating a lovely outdoor place for relaxation. ♥ Several “wearable” props as a glass of wine, notebook, sandwich, books, guitar, etc. Texture-change options: You can also choose from 8 color combinations – just tap the cushion to access the menu. It’s available also in Family version with 3 extra animations (2 for parents and one for children).